However, given the large number of gluten-free cookies with chocolate this week, I'll be stretching this week out -- to a baker's dozen of 14 days. Today's individually wrapped Fudge Indulgence cookie from the Alternative Baking Company, Inc. (Sacramento, CA) was vegan, egg free and dairy free. It hung together well and was not too crumbly. And it was also a good size for dessert. Not too small, not too large. The sealed plastic package made the individually-wrapped cookie easier to transport for a lunch or snack on the go. 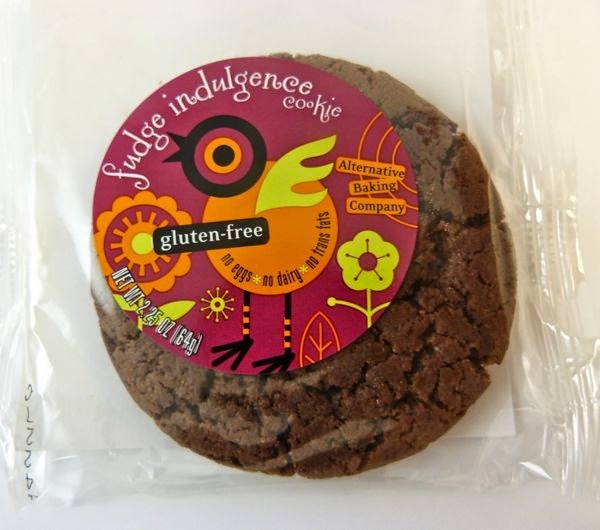 The Fudge Indulgence cookie was one of five different gluten-free cookie flavors available. 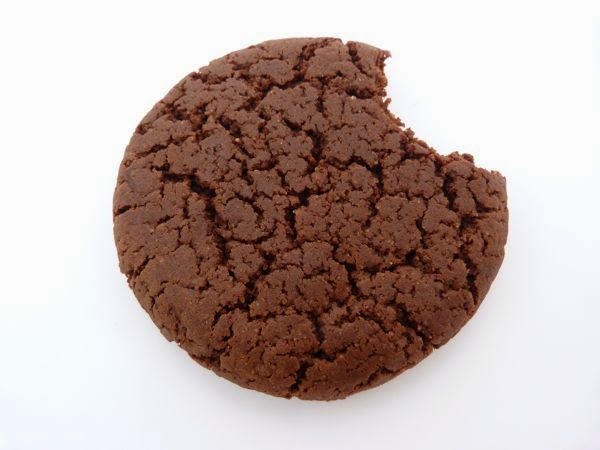 I will sample the company's "Chocolate Explosion" gluten-free cookie tomorrow.